A new agreement reached between Alliant Energy and the operator of Iowa’s only nuclear power plant will see the plant shut down five years earlier than first projected. NextEra Energy Resources spokesman, Peter Robbins, says the change came about as they looked at a new agreement with Alliant to purchase power from the Duane Arnold Energy Center in Palo. “We took a look at all options that were on the table an both companies agreed to move forward with shortening the term of the power purchase agreement,” Robbins says. 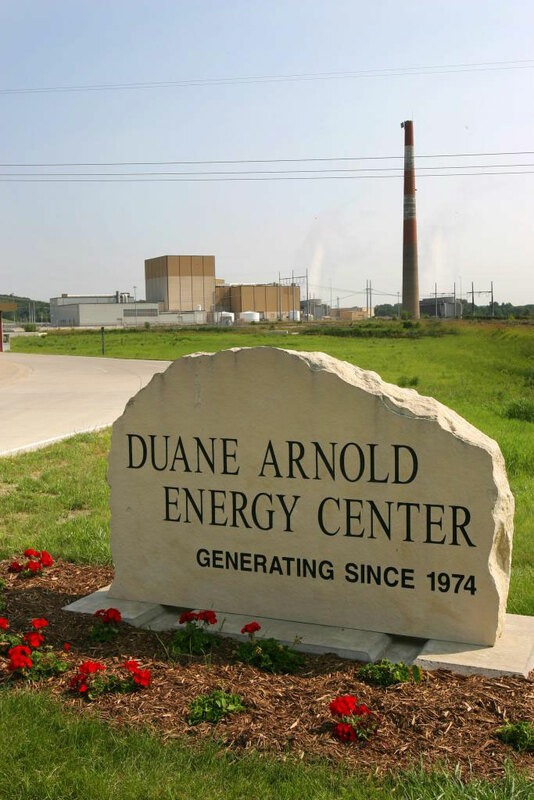 “As of right now were are anticipating Duane Arnold Energy Center will cease electrical production, will cease commercial operations at the end of 2020.” Robbins says employees of the plant will have some decisions to make. “We have about 540 people who work here at Duane Arnold right now and they’re part of our corporate family so today’s decision was very difficult for the entire company,” Robbins says. “We have a path forward for them. Our company believes in doing the right thing and treating people with respect — and that’s what we are going to do in this case.” He says employees will have several options as the plant moves toward closing. “Between now and the end of 2020 we will be able to offer people who are retirement eligible an enhanced retirement package,” he says. “When we do shut down in late 2020 we are still going to need about 300 people here on sight. So we’ll have hundreds of jobs available on sight in 2020 as we start the decommissioning process. And for anybody who is interested, we will offer jobs within our company.” He says NextEra has operations in 35 states. The shutdown of the Palo operation will begin soon after the energy contract expires. “A lot of what that work involves is unloading fuel from the reactor and putting it safely in what’s called spent fuel pool to let it cool down. That takes place over a period of years,” according to Robbins. “So, the decommissioning process for a nuclear power plant is very gradual, very lengthy. We anticipate it will start in late 2020, and it will carry on for a significant amount of time.” Robbins says the declining costs of other sources of energy have led to the decision to shut down the plant. “You are just seeing continued pressure on all sources of energy — from renewables and from natural gas — and we are certainly seeing that in the market place in Iowa,” Robbins says. NextEra Energy Resources says it plans to invest approximately $650 million in existing and new renewables generation across Iowa before the end of 2020. Alliant Energy says it will save customers nearly $300 million in the next 21 years by switching away from the use of the nuclear power. Alliant Energy has agreed to make a $110 million buyout payment to NextEra Energy Resources in September 2020 to cover the cost to shorten the term of the power agreement.